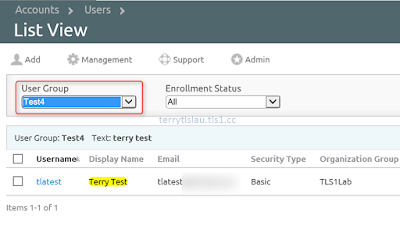 Terry L@u's blog: Add a user to a custom user group on AirWatch Portal. Add a user to a custom user group on AirWatch Portal. 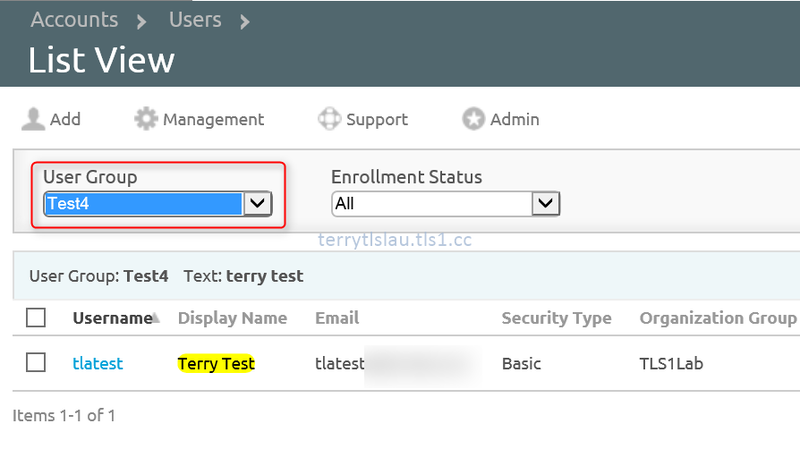 There is no option under custom user group to add a user into the group on AirWatch Portal. How do we add a user into the custom user group? Check the user account and then click "Accounts > List View > Management > Add to user group" to add a user to a custom user group. Then, select a custom group which you want to added into. As a result, the user was added into the custom user group on AirWatch Portal.